There are so many ways to deal with keeping your eyebrows looking their best. When waxing or tweezing becomes tiring, it may be time to consider a different method. That’s where eyebrow threading comes into play. This process produces results that are just as effective if not more than other methods. It will leave you with eyebrows shaped to your personal preferences in a relatively short period of time. There are few things to know about eyebrow threading before finding a salon to visit near you. Eyebrow Threading: How Does it Work? How long do the effects of threading last? Why does the threader put the thread in their mouth? How long should I wait to go for threading if I over-tweezed my eyebrows? Can I get get threaded if I have acne? Should I get my eyebrows threaded before or after tanning? When asking yourself ‘where will I find the best eyebrow salon near me?’ you must first be sure that you know what type of service you will be receiving. The first thing you should know about eyebrow threading is that it is an ancient practice, so there is no need to worry about safety or whether it’s effective. Threading has been practiced for centuries in both Asia and the Middle East and it is not limited to eyebrows, but can also be used on the rest of the face. You’re probably asking yourself ‘where can I find facial threading near me?’ Luckily, most salons that offer eyebrow threading, offer the full facial service, as well. Taming eyebrows can be a difficult and painful task, but threading is an alternative to waxing and tweezing that is gentler and ideal for people with sensitive skin. One of the main differences (1) in the process of threading is that it does not result in the removal of a layer of skin like waxing. This means that you won’t need to be worried about being extra vulnerable to sun exposure. Let’s face it, there is no way to get around a bit of pain when grooming your eyebrows. The area of the face is super sensitive and removing small hairs will always hurt. However, eyebrow threading holds the reputation of being significantly less painful than waxing. This is largely due to the fact that it targets the removal of single hairs and reduces the overall amount of skin irritation. Combined with the facts that your skin will not be pushed or pulled as much as with other methods and that you will not be exposed to potential chemical irritants, threading is likely to prove less painful than other options. Think of it like light pinching! The whole process of having your eyebrows threaded will take about 5 to 7 minutes, so prepare yourself ahead of time to sit still and relax for just about that long. If you want to get a full facial threading service, then you should expect to sit for anywhere from 15 to 20 minutes. Before any hair is removed, the beautician will ask you about the shape you want. Threading is ideal for enhancing your natural arch and overall eyebrow shape, so that is likely what will be recommended. Once you have agreed on a shape, your eyebrow hair will be brushed upward. The beautician will then trim a small amount of tiny hairs. Your eyebrows will be brushed downward and trimmed from the bottom. A thin piece of cotton thread will be twisted into a double strand. This thread is then swept along your skin in a purposeful, rhythmic manner. As the thread moves across your skin, it catches and removes unwanted hairs from the follicle. After shaping your eyebrows, the beautician will wipe the area clean with a tissue or cloth and give you a mirror to take a look at your new brows! The process may seem very simple, but it’s the precision and finesse with which the thread removes your hair which makes the difference in the final outcome. The beautician will probably ask you to pull your eyelids in opposing directions, in order to keep the skin tight. If you’re not sure what to do, ask and they will direct you! It’s better to skip eye makeup when you plan to go for threading. There is a very high chance it will end up smudged all around your eyes. Don’t be surprised if you find yourself unable to resist the urge to sneeze or feeling your eyes watering. This is a natural reaction to the sensitivity in your eye area. You will probably be asked if you want your eyebrows trimmed. It’s recommended that you get this done because it will give you a neater and chicer look overall. If you’re offered aloe vera after the threading, take it and feel the cooling sensation! Try not to be alarmed by the redness around your eyebrows after threading. It will fade after about an hour. Remember not to hesitate to ask for adjustments if you’re not totally satisfied with the results! Extreme precision. The thread works like a ruler to create straight lines and edges. Much less painful than other options for grooming eyebrows. You will not need to commit a lot of time to maintenance. After the initial threading, you can make small adjustments on your own, and make threading a monthly practice. It’s a very safe option that is unlikely to end up in lasting irritation or damage to the skin. Know the shape of your face and what eyebrow style will fit you best. Take a warm shower or bath before going to get your eyebrows threaded, as it will soften hair and make it easier to remove. If you really can’t handle pain, apply a local anesthetic gel to the area 30 minutes before threading. You can draw the outline of the shape you’re after with an eyebrow pencil for accuracy. Apply powder to the area around your eyebrows before threading to soak up extra moisture and make the process easier. You can apply a cold bottle of water, ice, or extra aloe vera to the area if you get home and still feel irritated. When you have your eyebrows or face threaded, you will find that the hair removal lasts for at least 2-6 weeks. When hair does begin to grow back, it will do so more sparsely, as hairs have been removed at the root. This is done in order to keep the thread as tight as possible while working to shape your eyebrows and remove hair. There is no need to worry about hygiene issues, as that part of the thread will never touch your skin. Finding the right balance when tweezing can be very difficult. If you have removed too much hair and want to have your brows reshaped through threading, it is best to wait about 2 weeks in order to allow your hair to grow back. Yes, threading is a very hygenic and sensitive process that will not affect existing acne or cause blemishes. Your skin will be too sensitive in the 48 hours after tanning to be threaded. It is best to have them threaded before tanning sessions. You will always want to wait 48 hours after having your eyebrows threaded to go tanning. 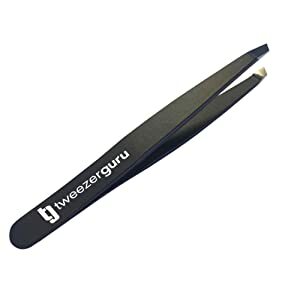 The TweezerGuru Slant Tweezers are a tool that everyone should have in their collection. Even if you rely mainly on threading to keep your brows looking neat, these tweezers make in-between touch-ups super smooth and simple. These tweezers are affordable and made from high-quality stainless steel, and will become a long-lasting part of your beauty collection. The slanted tip of these tweezers will help you remove precisely the hairs you’re after without catching and damaging skin in the process. The grip is comfortable and you will have full control as you shape your brows. 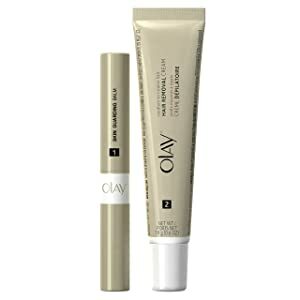 The Olay Smooth Hair Removal Duo is a great alternative to facial threading. This kit will leave the target area free of hair, but still smooth and soft. The two step process takes a total of 8 minutes to leave you with radiant skin. If you are seriously sensitive to pain on your face, using this cream may be your best option, as you will feel next to nothing. The kit includes a balm to apply after hair removal, which will keep your skin healthy and protected. The Noxzema Eyebrow Shaper is an excellent tool to use in between threading sessions or on its own in order to create the shape and arch you want. 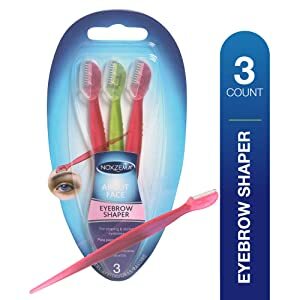 It’s a small shaver that will remove your eyebrow hair without nicking your skin or leaving the area read and irritated. The shaper has a comfortable handle which allows you full control and flexibility while shaping your brows. These disposable shapers are a super affordable staple to add to your at-home beauty kit. 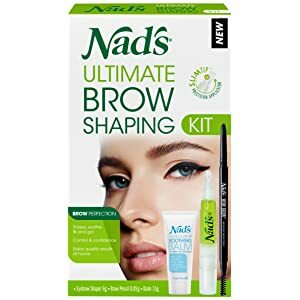 The NADS Ultimate Brow Shaping Kit uses gentle wax to provide a beautiful look. This is another affordable option that can be used as an alternative to threading. The Slim Tip wax applicator ensures that wax goes only where you want it and keeps the process tidy. You will not need to microwave the wax before using it, and clean up is very simple. The wax will wash off with water and is safe for use on all skin types. Your eyebrows are one of the main focuses of your face, so it’s important to keep them groomed and shaped in a way you like. Threading is a process that will give a natural and neat look with minimal pain. Search for an eyebrow threading salon near you today!